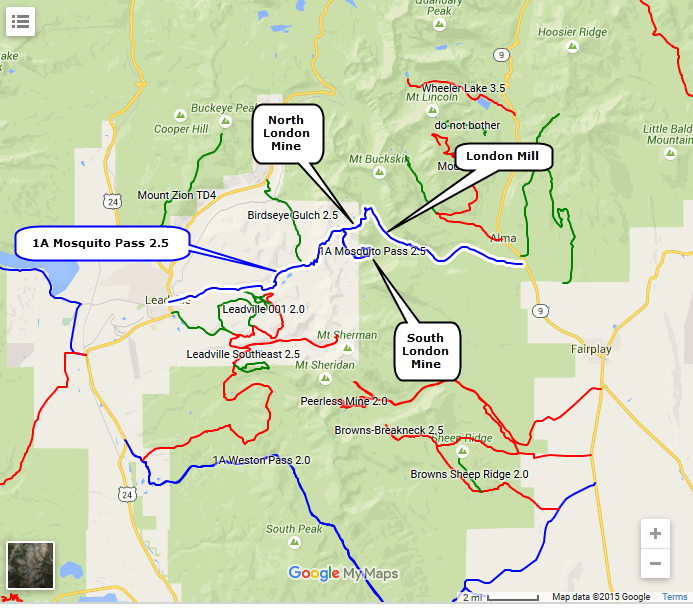 Mosquito Pass connects Leadville on US 24 with Alma on SR 9 and is the highest pass in Colorado open to motorized travel. 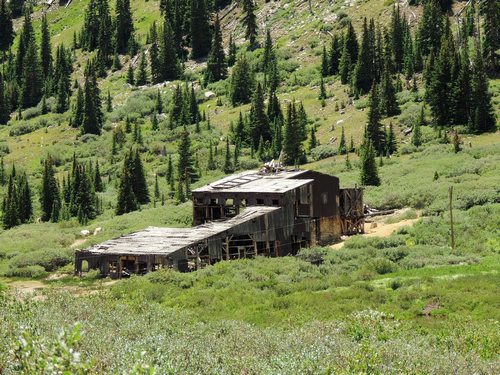 Great alpine scenery and plenty of old mining relics. There are lots of versions of how Mosquito came to be the name. 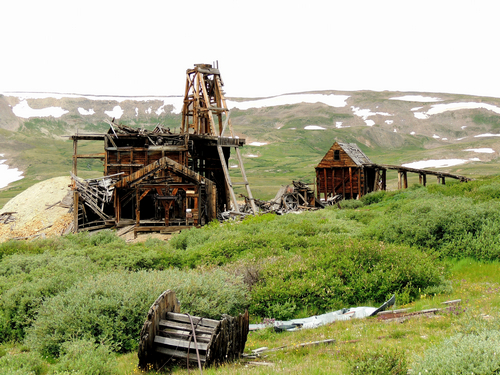 One of the most popular says that just after nearby Montgomery was founded, gold was discovered high in the mountains above and gave rise to the town of Mosquito. The name came from a town meeting where a mosquito was crushed between pages of a book during the meeting. It was the only name they could agree on. 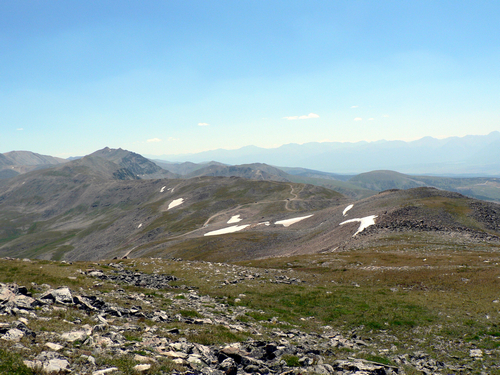 There is a memorial to Father Dyer at the summit of the pass. The North London Mine and the London Mill are on the main road. 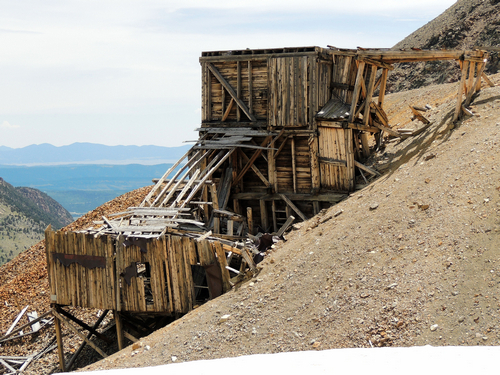 The North London Mine was bored into London Mountain in 1875. 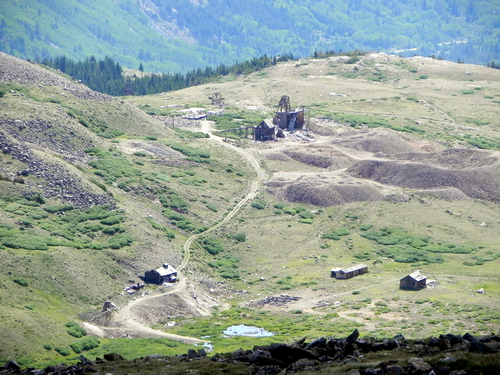 The first aerial tramway in Colorado transported rich ore from this mine down to the London Mill. The South London Mine is on a spur road south of the main road. You can see remnants of the tram that took ore down to the London Mill. Someone wrote to me in August, 2018 and said this spur had a sign "Private Property: No Trespassing".